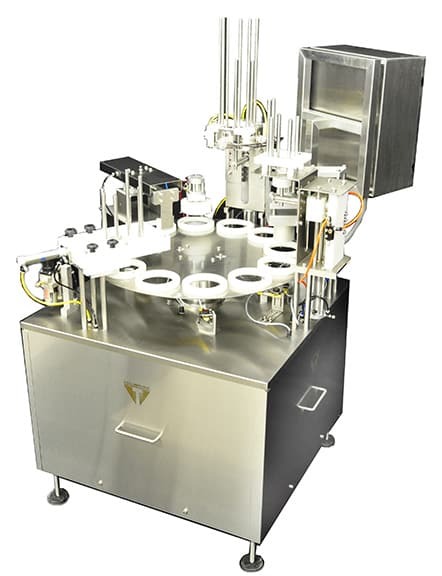 Volumetric Technologies designs and manufactures the highest quality Cup Filler & Automatic Cup Sealing Machines in the industry to meet a wide variety of needs. 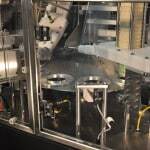 Our cup machines can denest, fill, seal and over lid your stackable containers with reliability, accuracy and speed. All of our cup machines are servo driven for complete flexibility and come equipped with touch screen operator Interfaces with menu driven controls for ease of use. Precision made and built to last, our cup machines and cup filler equipment combines innovative features customized for a perfect fit every time. 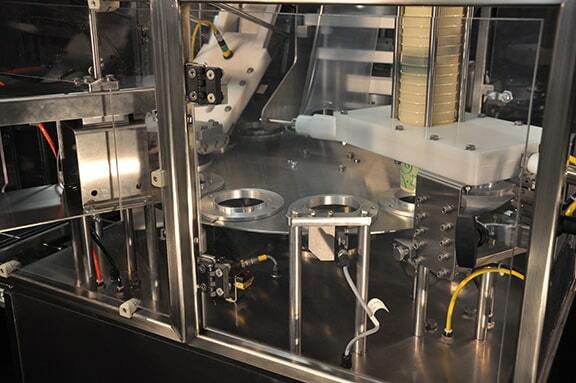 Volumetric Technologies: experienced, agile, and leading the way in cup machine packaging equipment and production. Volumetric Technologies is a manufacturer of cup machines for the food, dairy, and cosmetics industries. 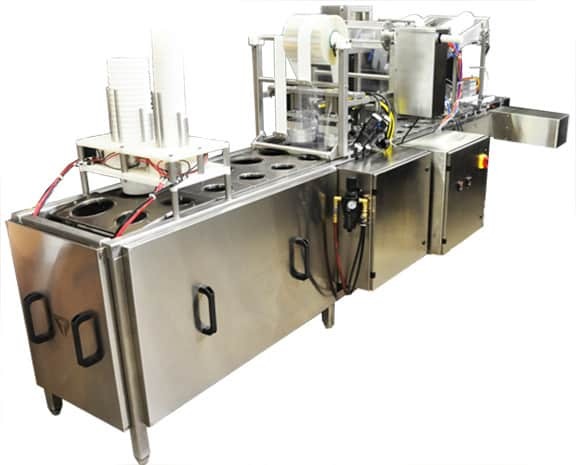 Equipped with a PLC solid state controller and servo drives, our inline cup filling machines can easily be configured for your products and containers. 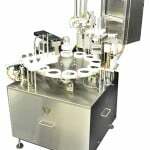 Our Rotary Cup Machines serve a variety of industries including food, dairy, and cosmetics. Made of Stainless Steel construction, our Rotary Cup Machines Fill and Seal cups and deliver them to a transfer conveyor or plate for packaging. 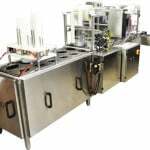 Volumetric’s servo driven or piston filling Custom Cup Machines are built to your specification and constructed with stainless steel. They are fully automatic and can deliver up to 50 cups per minute per lane (dependent on container, product and seal type).